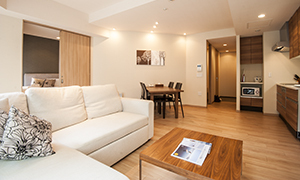 Akazora studio apartments are designed for couples that like to get out and about to experience all that Niseko has to offer both on and off the slopes. Located on the ground floor level in Akazora, they are the best way to enjoy Akazora facilities and convenience at a reasonable price. Akazora one bedroom apartments are situated on all floors of the building and offer a more spacious alternative to the studio apartments. They can also accommodate an additional two guests on a sofa bed in the living room, making for an ideal option for small groups or families. The two bedroom apartments at Akazora are the most numerous of all types and can be found on the first, second and third floors of the complex. They sleep up to 6 people making them perfect for groups or families looking to make the most of what Niseko has to offer. 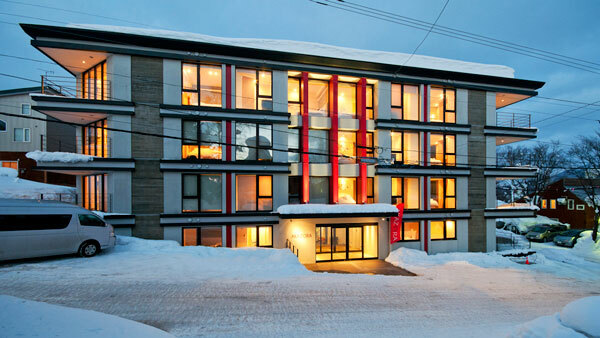 Akazora apartments are a stunning development in the heart of the village of Hirafu, Niseko; one of the world’s fastest growing ski resorts and Asia’s premier four season destination. Finished in 2013, Akazora is very popular with international tourists and domestic visitors alike given it's mix of western convenience and Japanese simplicity. This eye catching building is in a prime central village location. Only a stones throw from the ski slopes and less than a minute from a mouth-watering variety of delectable restaurants that have become favourites among locals and tourists. A nearby resort ski shuttle stop can whisk you around the village and ski field, or a short 7 minute walk will bring you to the closest ski lift. Akazora is resourced with a committed team with an in-depth knowledge of the Niseko area, as well as an extensive range of contacts throughout the region which enable us seek out the best prices for the services required for your stay. You will receive individual service tailored to your specific holiday needs all year round. Take advantage of our extensive pre-arrival planning and assistance to get access to exclusive discount offers, saving you time and money. 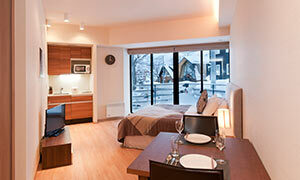 *Note that many restaurants in Niseko require guests to book directly to avoid any confusion. If you do need any assistance, please visit the reception desk in person. 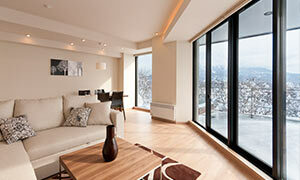 Address: 170-235 Yamada, Kutchan-cho, Abuta-gun, Hokkaido, Japan 044-0078. Akazora is centrally located in Hirafu Village just a short stroll from great restaurants, convenience stores, bars and of course the Grand Hirafu ski lifts. It features undercover parking for those that drive and a front desk concierge to assist guests with any enquiries they may have. For general information and to offer feedback, please use the form below. New Chitose Airport (CTS) is between 2-3 hours drive away depending on traffic and weather conditions. How far away is Sapporo City? Sapporo City is a 2 - 2.5 hour drive away from Niseko. It is about 40 minutes' drive from New Chitose Airport. Yes. We certainly can organise transportation for you, be it a private transfer service, shared coach or a self-drive hire car. Please note that prior booking is required. For our guests visiting during the busy peak periods (Christmas, New Year, Chinese New Year), we advise you reserve as early as possible. Do I need any special permit to drive in Japan? Yes. In addition to your normal drivers license, you will need to produce a valid International Drivers Permit (a 1949 Geneva Convention version) in order to collect and legally drive a vehicle in Japan. For further info, simply click here. Can you come to pick me up at the train or bus station? *Please note that prior notification of train arrival time to the concierge team is required. Please contact our reservations team for more information. What are my transport options if my flight arrives after 8:30pm? The last scheduled coach departs CTS at 9:30pm. Domestic flights arriving at 8:30pm, or earlier, will be able to match this service. International flights will have to arrive by 8:00pm to make this service. If your flights will arrive later than the above times, we strongly recommends to pre-book a private transfer. As we want you to have a stress free holiday, we highly recommend for you pre-book any ski or snowboard lessons. Please note that peak seasons fill up very quickly, and that lessons should be booked as soon as possible. 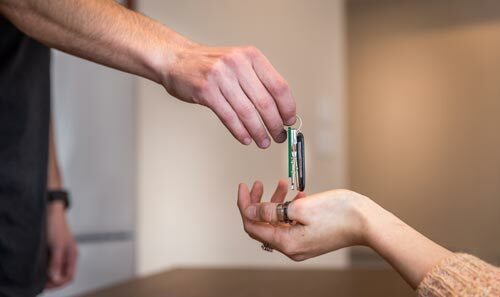 As all MnK properties are self-contained, daily cleaning is not included in the rental price. For bookings of 5 nights or more there is a scheduled clean once every 3-4 days (excluding monthly stays). Should you require more than this, you may request extra cleans at an additional fee. Can you book restaurants for me? Unfortunately, we do not provide this services as the restaurants in the Niseko area have their own individual cancellation policies and charges, they prefer to liaise with their diners directly to ensure all the details of the reservation are correct. Restaurants count on the busy winter to make their living and as many are small, want to make sure that they avoid any reservation mistakes that could result in double bookings or no-shows. They may also take credit card details to hold the booking. All MnK properties are equipped with free Wi-Fi Internet. In the case you need LAN Access, you can connect directly to the router (Ethernet cable not provided). What facilities are there in the property? All units also come with the following amenities: handwash, bodywash, shampoo and conditioner. What appliances are there in the kitchen? • Full cutlery set, tableware and kitchen tools are also included. Are there units where smoking is allowed? All MnK properties are strictly no-smoking. We cannot accept any pets in MnK properties. Can I rent a baby cot? Yes, you can rent a cot. Please inform our reservation staff and we will set up the cot prior to your arrival. Please note that we have a limited number of baby cots and advanced booking is required. Can I have extra bedding in the property? Many of the houses have a sofa-bed (please check with the reservation staff). Dependant of the property, we can supply up to two futons at an additional fee. Japanese law determines the maximum number of people allowed in each property, there may be a possibility that your full party may not be able to stay in the one property.